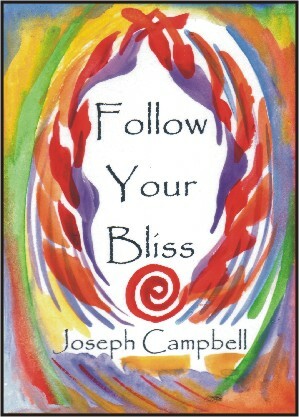 The full quote is "If you do follow your bliss you put yourself on a kind of track that has been there all the while, waiting for you, and the life that you ought to be living is the one you are living. Follow your bliss and don't be afraid, and doors will open where you didn't know they were going to be." Be brave. Invest in yourself.